Schluter-Systems' stainless steel shelves come in various shapes and sizes to provide just the right amount of storage space in the shower area. 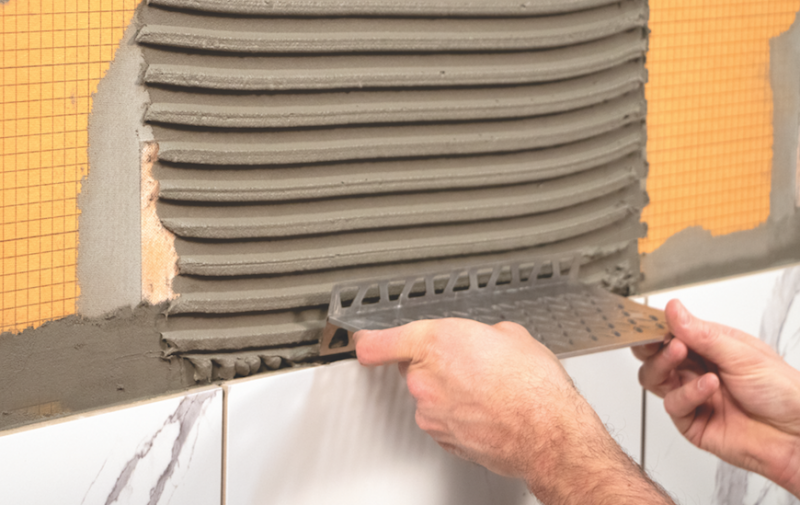 Tile and shower products manufacturer Schluter-Systems has developed a line of brushed stainless steel shower shelves that the company says are fast and easy to install. 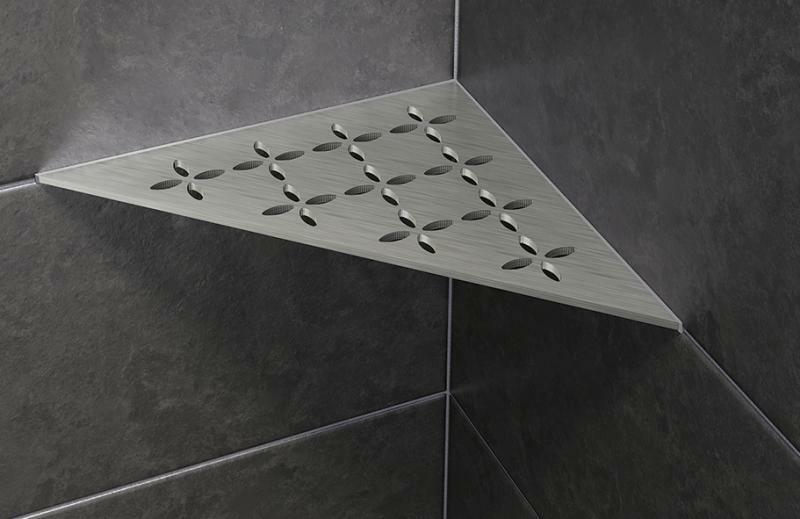 Unveiled recently at The International Surface Event and available for sale on March 1, the shelves can be installed in new showers or as retrofits. The shelves are made from 5/32-inch-thick stainless steel and require no special tools for installation. Instead, they fit neatly between rows of tile and do not require any materials or fasteners to penetrate the waterproofing membrane on the walls. 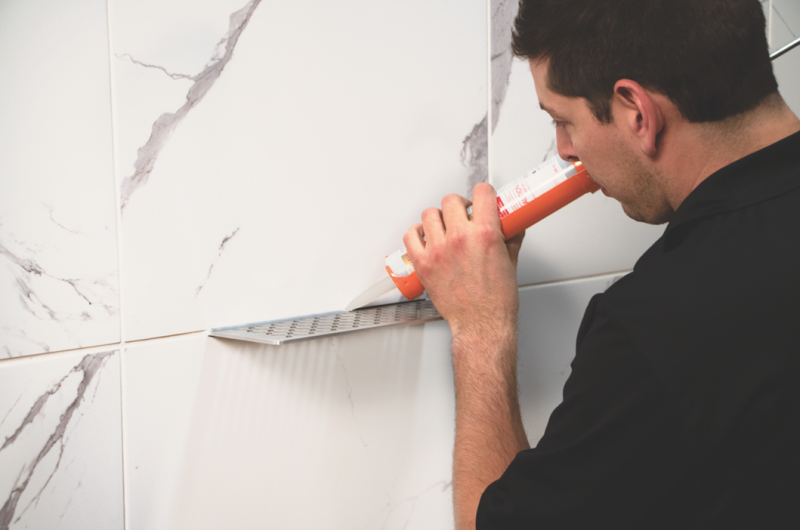 “The end result is a sleek, clean finish, and a shelf that will easily hold shower accessories,” Schluter says. 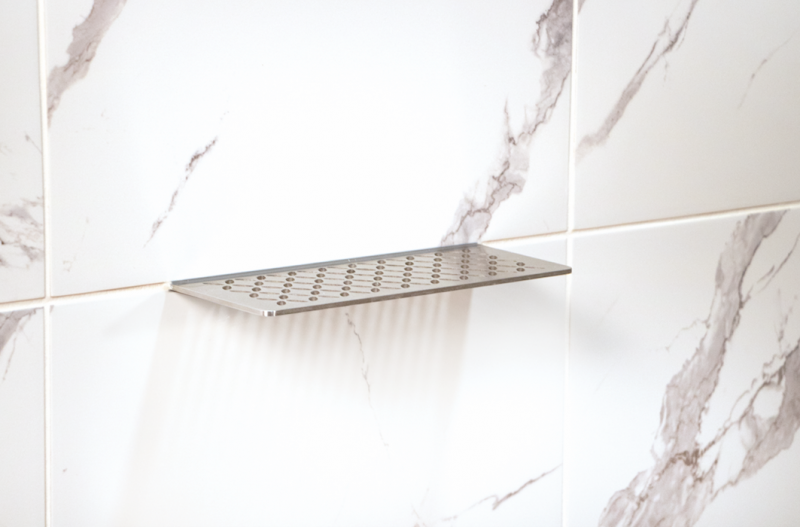 Although they can be used in any bathroom setting, the shelves are designed to complement Schluter’s STYLE shower grates. Available in five shapes and sizes, the shelves come in curve and floral patterns to match Schluter’s point and linear drains with the same designs.